An appreciative, enlightening survey of an increasingly vital poetic approach…the first collection of contemporary prose poetry to present substantial selections (10 poems each) from the works of well-known luminaries alongside poems by upcoming firebrands. As more poets write prose poems, one of the most common reasons they give for turning to them is that their fluent composition offers a “freedom of expression” lined poetry often restricts. To many, this sounds like a contradiction stemming from the eternal belief that any kind of good poetry has no boundaries. Yet those that write prose poems insist the act of placing their poems into sentences and paragraphs gives them a fresh approach to content and form. An appreciative, enlightening survey of an increasingly vital poetic approach, No Boundaries is the first collection of contemporary prose poetry to present substantial selections (10 poems each) from the works of well-known luminaries alongside poems by upcoming firebrands. By offering ten poems by each poet, this collection allows the reader to explore the work of each contributor in depth. Robert Bly, Russell Edson, Campbell McGrath, and other established poets light the torches held by newcomers Mary Koncel, Gary Young, Linda Dyer, etc. 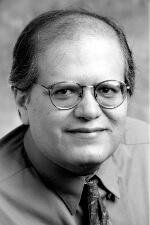 Editor Ray Gonzalez chose to showcase these distinctive writers whose work embodies the diversity of styles and techniques representing the art of the prose poem today. Ray Gonzalez has been poetry editor of The Bloomsbury Review for twenty-two years, and has won numerous awards for his prolific literary output. In 2002, he was nominated for the Pulitzer Prize for his poetry collection, The Hawk Temple at Tierre Grande. He has won many awards for his anthologies and, to date, has compiled a dozen literature collections. He teaches at the University of Minnesota. The Spring Thaw 2004 issue (Volume Five, Number Two) of Iron Horse Literary Review has a dazzling review of No Boundaries.